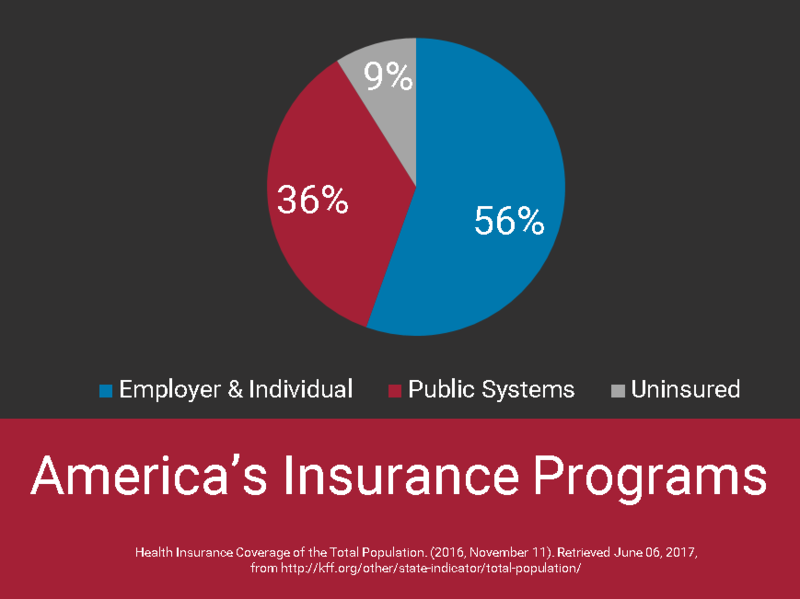 In the US, nearly 36% of all Americans receive health insurance coverage from a government program. Most people will be familiar with Medicaid and Medicare, but there are many other types of programs for different populations, including TRICARE. This program is available to the military community, and it offers some very robust plans that rival some of the best private insurance plans. 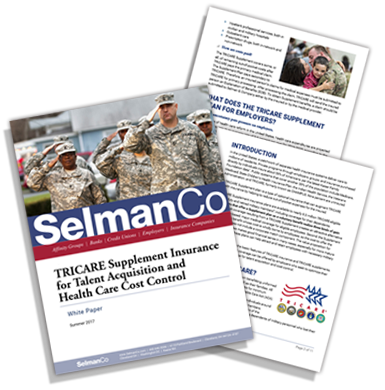 Selman & Company offers TRICARE Supplement insurance that works with TRICARE to create a rock-solid alternative to an employer's major medical plan. If employers have TRICARE-eligible employees who do not participate in their earned benefit program, it may be worthwhile to help those employees compare their options. Public systems account for over a third of all health insurance in the US, and TRICARE is one of them. TRICARE is a health care program benefitting uniformed military services members as well as their families. 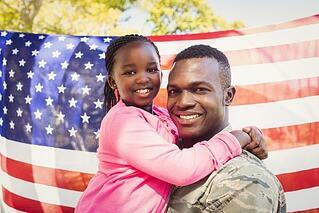 All TRICARE plans satisfy requirements for minimum essential coverage under the Affordable Care Act (ACA). Thirteen types of TRICARE plans exist for those who meet eligibility requirements. However, three types of TRICARE plans—the three with the most enrollees—are compatible with an employer-based Supplement. TRICARE Prime is a managed care option primarily offered for active duty service members, with comprehensive coverage offered. Some retired military members may also qualify for this coverage, but active duty members are automatically eligible. The plan offers a lower out-of-pocket cost, and in many cases, the plan requires referrals to see eligible service area providers, much like an HMO. TRICARE Standard/Extra is a fee-for-service option for non-active duty service members. Although out-of-pocket costs for this coverage is higher, there is no referral requirement, and more freedom and options for providers are available, allowing the plan to function more like a PPO (Preferred Provider Organization). This option also has the added benefit of covering insureds while they travel overseas. TRICARE Reserve Select (TRS) is a plan which functions similarly to TRICARE Standard, but is only for military reservists and National Guard members. These individuals must not be under eligibility for other TRICARE coverage. TRICARE provides comprehensive health coverage for medical necessities; some of which are covered automatically due to status benefits. TRICARE also features benefits not mentioned here that can be directly purchased, such as the TRICARE Retiree Dental Program for retired military personnel. Depending upon the plan, the additional benefits purchased, and the status of the enrollee, benefits often incur lower out-of-pocket costs than private health insurance. This can apply to both the member and their dependents. How are costs shared between insurer and insured? The delivery of care is dependent upon the plan the employee is enrolled in; in some cases, the employee may only be able to receive care at eligible service providers, such as those that are used under TRICARE Prime. In other cases, they may have a more robust network of providers, in exchange for higher out-of-pocket costs. The cost sharing is dependent upon the plan that the individual is enrolled in; for Prime, this usually features initial lower out-of-pocket costs, while Standard’s costs may be higher. Why should employers know about TRICARE? Robust coverage resulting from TRICARE with a TRICARE Supplement creates an attractive alternative to employer-based, major medical coverage for eligible employees. This can create significant savings for an organization that employs ex-military personnel and their spouses; Depending on the type of health insurance the employer offers, this can be thousands of dollars of savings per insured person per year. Many employers may not realize they employ TRICARE-eligible workers. Consider that a man or woman who enters the military is eligible for retirement after 20 years of creditable service. That creates a population of "retirees" who are as young as 38 years old. These people often pursue civilian careers and work into their fifties and sixties. According to the Dept. of Veterans Affairs and available Dept. of Defense data, approximately 30,000 to 50,000 military personnel retire every year. 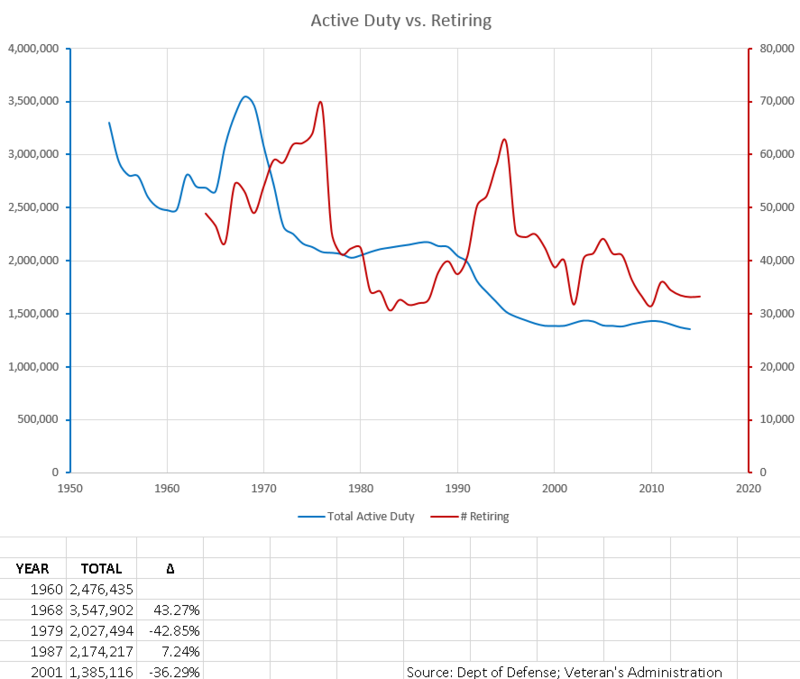 Even as the number of active duty personnel has decreased over time, the number of retirees per year remains high, as it lags previous periods of high enlistment. Given the comprehensive nature of TRICARE health insurance, the program’s essential features compare favorably with most employer-based major medical plans, with typically lower net expenses for the insured. If a TRICARE-eligible military member or his or her dependents are considering their health care options, TRICARE health insurance is worth investigating. To learn more about TRICARE and TRICARE Supplement insurance, read the white paper: "TRICARE Supplement Insurance for Talent Acquisition and Health Care Cost Control." Ed. : Thanks to Michael Boiwka for data analysis.